Joe Dante is one of cinema's leading purveyors of B-Movie thrills delivered with A-list sincerity, and a budget that usually lands somewhere in the middle. While he was in demand throughout the 80's and a good portion of the 90's, recent times have seen Dante shift more towards television directing, with his first film in five years, Burying The Ex, recently making an appearance at the Venice Film Festival. Though times may have changed, there's one thing that hasn't: Joe Dante is the only person that can make a Gremlins movie. During an interview with The Playlist, Dante's famed franchise of nostalgia fuel was mentioned, and he was asked about his supposed involvement in the recently rumored reboot that Warner Bros was allegedly involved in producing. It turns out that news was only half true, as there is a reboot in the works but Dante is not involved at all. Better still, Dante himself shared some special insight he had as to why the Gremlins have laid dormant for almost 25 years on the Warner Bros lot. "It's tricky because the rights are jointly owned by Warner Bros and Amblin, so you've got to jump through two hurdles to get your idea approved. " So while Warner Bros might be in the tank for a Gremlins remake, Amblin (and probably, most importantly, Steven Spielberg) aren't too keen on ruining a franchise that made two films, a decent amount of money, and a lot of childhood memories. Of course, Joe Dante doesn't think that's the only reason Gremlins has only ever had one sequel. Part of the reason is, in his own opinion, no one else understands the franchise like he does. "When they started making a [Gremlins] sequel, they didn't understand what we had done on the original to make it successful. So they hired me to come back and make the sequel. Because nobody understood it." Truth be told, a Gremlins reboot or remake is one of those ideas that seems destined to fall flat on its face. Joe Dante helped create those characters in the first film, and only further cemented their personalities and zany behavior in Gremlins 2: The New Batch. The only reason he agreed to make a second film was because he decided to turn it into a mile a minute parody of the original film, and the only reason it worked was because he understood that that was the only real next step you could take to keep things fresh and interesting. 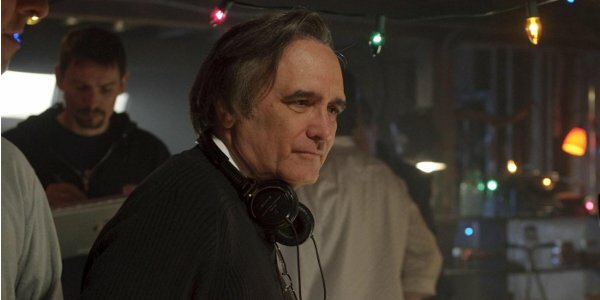 If Warner Bros really wants to go for round three, it would benefit them greatly to pass everything through Joe Dante, the man that made the series that according to him, "was not beloved by the studio until it started making money." For now, Joe Dante will hopefully make us laugh and scream at the same time with Burying The Ex, provided it secures some sort of domestic distribution in the near future – a feat that his last film The Hole just barely secured. Though if you're a fan of Dante's unfairly slammed love letter to the Looney Tunes, Looney Tunes: Back In Action, you'll be able to finally own it on Blu Ray as of December 2nd.